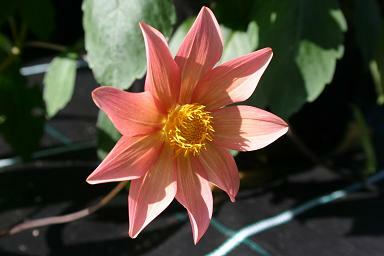 I have been trying a few of the species Dahlia this year. Still can't make up my mind if I like the strange orasnge colour of this one. It is growing in a pot at the moment and I have no idea where I would put it in the garden. I grew this from seed this year, and it has rushed up to flower.Looks just like Dahlia merckii to me, but I still need to look into it a bit more. I don't know how hardy it is going to be. 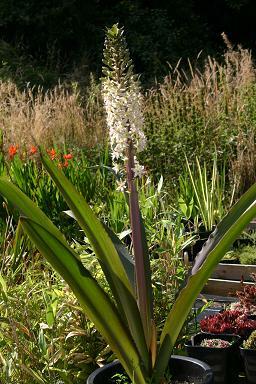 Eucomis comosa 'Sparkling Burgundy' . A spectacular ginger to start the season off. 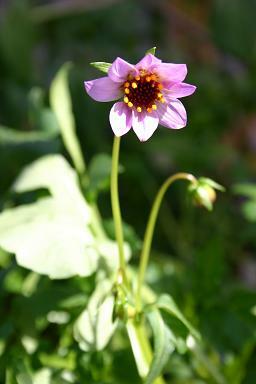 It has just managed to flower before it hits the roof of the greenhouse. Some of the later flowering forms are not going to be so co-operative. Cross that bridge when we come to it! 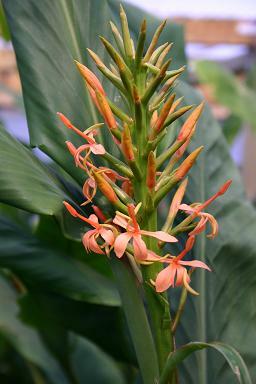 Lush foliage and wondefully spicy scented flowers. I have repotted them all this year, and they have gone wild as a result.